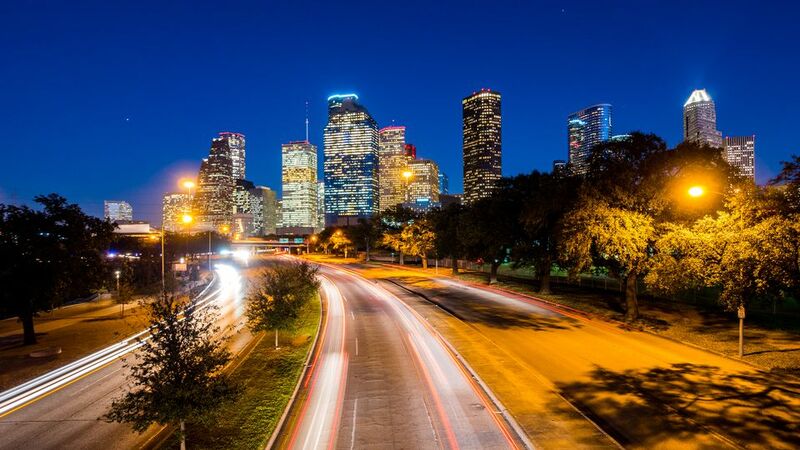 With diverse communities, great shopping, ​and amazing ​restaurants, there are plenty of reasons to love Houston. But like any city, it's not without its faults. Here are a few things that people living in or visiting Houston can't stand — and what they do to avoid them. To anyone who has ever driven in and around Houston, the special animosity felt by many toward the city's traffic should come as no surprise. The metro area has roughly six million people all trying to get somewhere. Rush hour is long and brutal, with local commuters spending on average an extra 121 hours per year fighting congestion on the road. Add in the rather aggressive local driving culture and confusing highway nicknames, and it's enough to leave anyone flustered. Driving in Houston is terrible, so don't. You can absolutely get around Houston without a car — especially if you're coming for a visit. Public transportation in the Houston metro isn't as extensive or common as in other places, but options are available. The Houston METRORail lines go to many of the city's major attractions — including the Museum District, Theater District, NRG Park, and the Texas Medical Center. If you can't stay near the train line, try driving as far as a park and ride, and catch the train from there. Depending on the state of traffic, it might actually be faster than driving yourself, and it will almost certainly be less stressful. ​If you have to drive, brush up on some basic Houston-specific guidelines first. Do you know where the "Katy Freeway" ends and the "Baytown East Freeway" begins? How about the difference between "South Loop West" and "West Loop South"? Getting the basic nicknames of the city's highways down will go a long way to understanding directions or traffic reports on the radio. Similarly, knowing the deal with "feeders" and EZ Tags will save you time on the tollways, and understanding "the wave" is important to keeping the peace when road tensions start to soar. Houston has a well-earned reputation for being hot and humid. It's not uncommon for temperatures to be in the high-70s in mid-December while the rest of the country is frozen over. That's great in the winter, but the summers can be scorching. Tie that in with the heavy rainfall and flooding that comes for sometimes days on end, and things can get downright uncomfortable. Even so, the weather is easy to manage or work around if you know what to do. Know what to wear (and what to leave at home). In addition to avoiding some local fashion faux pas, knowing what to pack when moving or visiting Houston can help keep you comfortable. Wear lighter clothes in layers and comfortable shoes you can use to walk through unavoidable puddles. Bring a sturdy umbrella — not just for heavy rains and high winds, but also for the sun—especially bright days. If visiting, plan your trip for the fall. Houston's winters are a little unpredictable—with temperatures flying between the low 30s and high 70s. Springs tend to be rainy, and summers are too brutal for many outsiders to enjoy. But the fall? Fall in Houston is gorgeous: Temperatures are warm, but not too warm, and there are fewer rainy days to contend with. Stay near wherever you need to be. Whatever your primary purpose for being in Houston — an event, a job, a loved one — try to stay as close as you can to it. That will help you avoid wasting valuable time in transit. Find a spot in the city, and explore it to its fullest. You can easily spend whole days or long weekends exploring everything within a particular area, and several Houston neighborhoods — like the Museum District, the Heights, and Montrose — are quite walkable. Even places outside the city, such as Sugar Land, Katy, or Spring, have great city centers with lots to see and do. By not trying to do everything, you can enjoy the areas you do visit. Robyn Correll contributed to this report.